Welcome home, mom and dad! 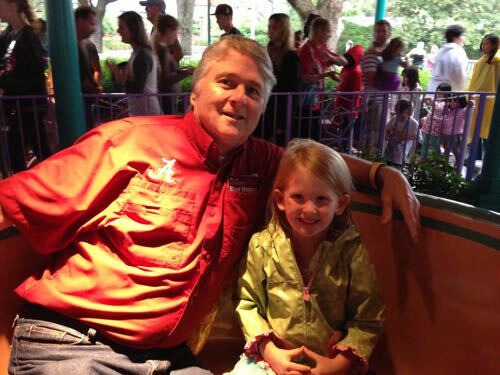 We took the plunge and spent part of our Fall/Thanksgiving Break at Disney World. 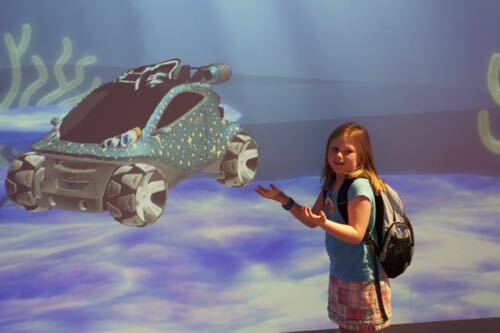 The girls had a great time, and they were SO good while we were there. Despite spending the evening in the emergency after-hours clinic with Ellie the night before we left, she plowed through. 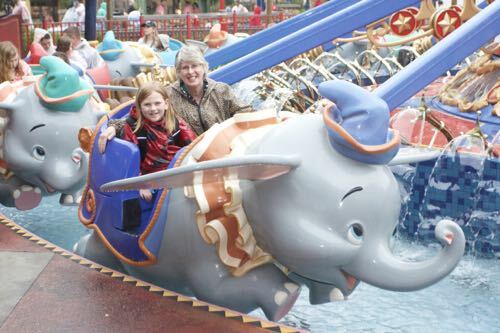 Each of the girls had been on an airplane before, but neither would remember. 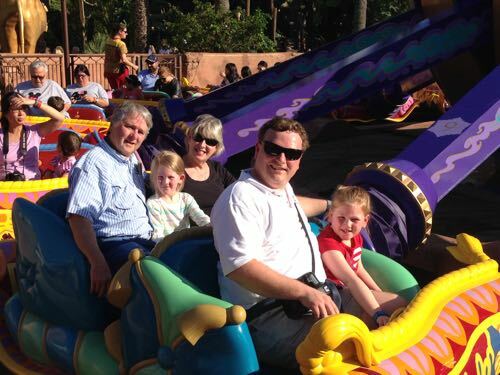 They were thrilled to take the short trip down to Orlando! 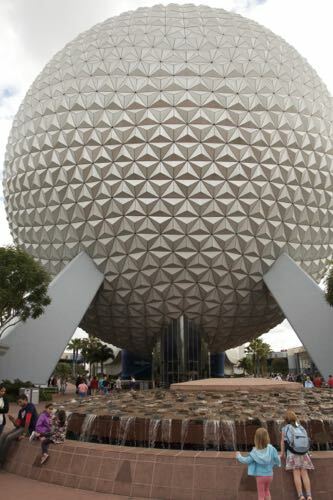 We spent the rest of that day at Epcot. 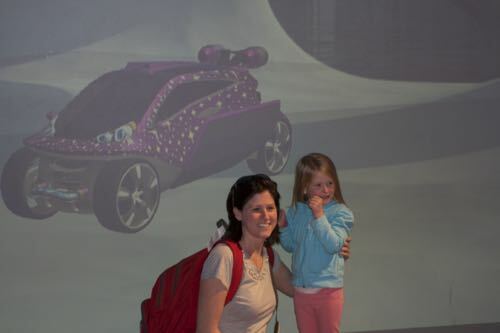 Samantha’s most desired To Do was to ride Test Track. 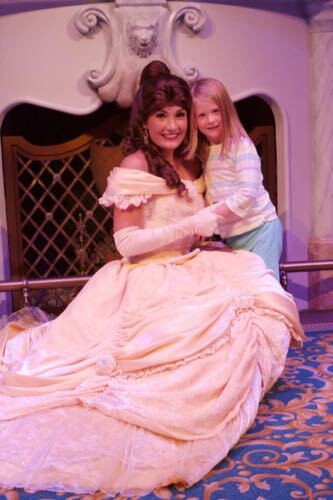 In the end, her favorite thing was the Tiki Room at Magic Kingdom. 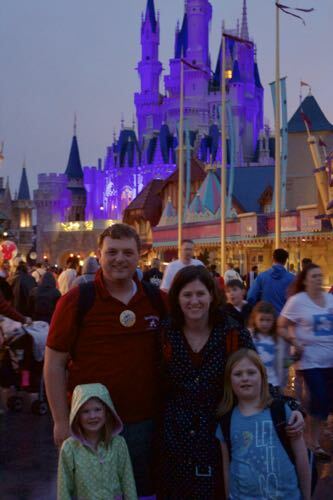 We spent the next day at Magic Kingdom. 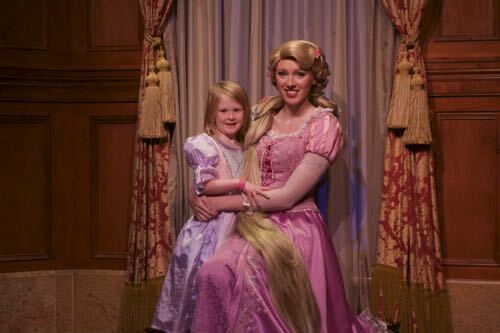 And without surprise, Ellie’s most desired To Do was to meet Rapunzel. It was her favorite thing also. 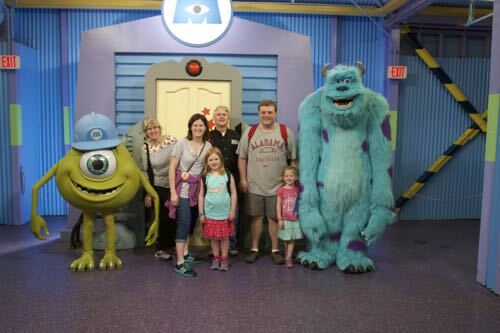 We ventured over to Hollywood Studios for the following day. The highlight of that day was playing in the snow at Wandering Oaken’s Trading Post, watching the Frozen Sing-Along show, and riding Toy Story Mania. 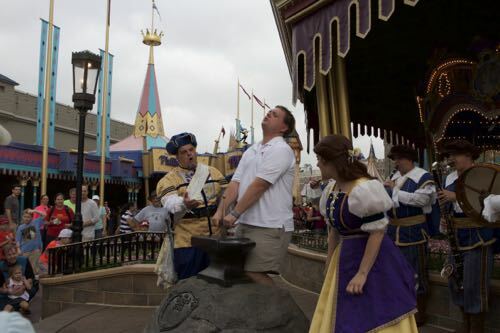 Then, back to Magic Kingdom, where Brian was picked for the early performance of trying to pull the sword from the stone. 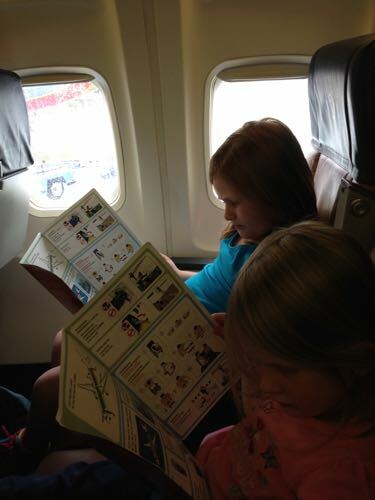 Without prompting, the girls read their Safety Information at the appropriate time on the flight home. What can I say? They prepare. Wow, I feel late to the party, but I just have to share. The Prince of Peace choirs are all working on getting this song ready for Easter. I bought it on iTunes so I could practice with it, but out of curiosity I wanted to see if there was a video, so off to YouTube I went. Can you figure out where it was shot? Well done, Cheri. Samantha wanted to play soccer this year! I decided that she was old enough to add another activity, so we thought we’d give it a shot. 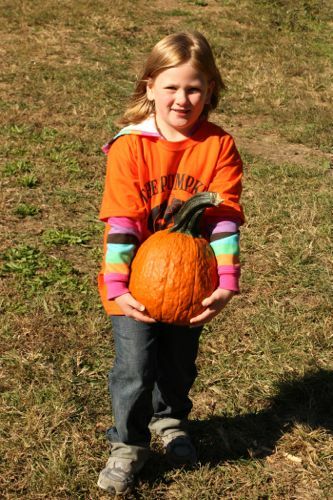 I was a little overwhelmed at the beginning of the season because it was twice a week, in addition to gymnastics once a week, with the newness of Kindergarten too. Whew. We made it though. 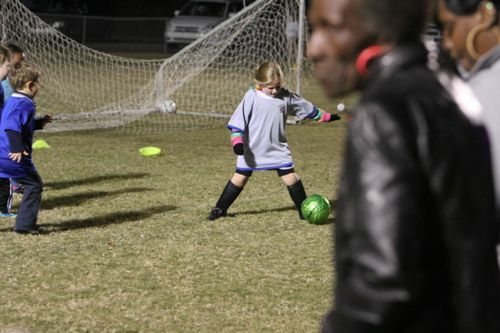 At the beginning of the season, she was intimidated by the ball, and wanted to play goalie. 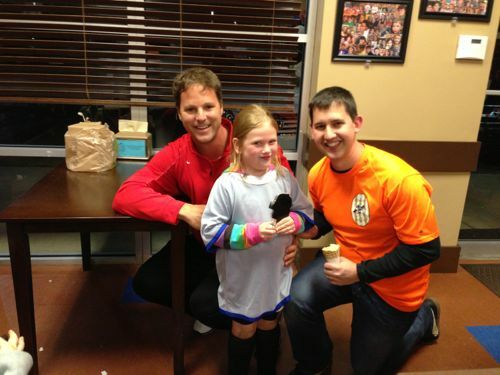 There are no goalies in her age group though. 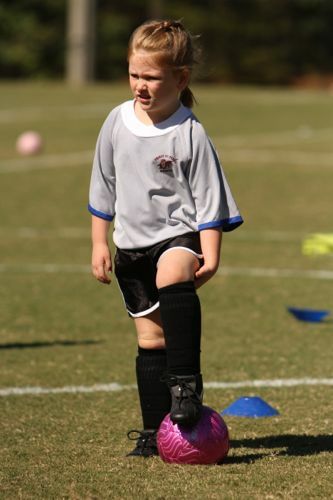 But in the last game of the season, she had finally figured it out and scored a goal! She is so happy with her trophy. She keeps saying “It’s my first trophy! Don’t you like my trophy?” She had some great coaches, who emphasized having fun and team spirit. We’d love to play again next season. 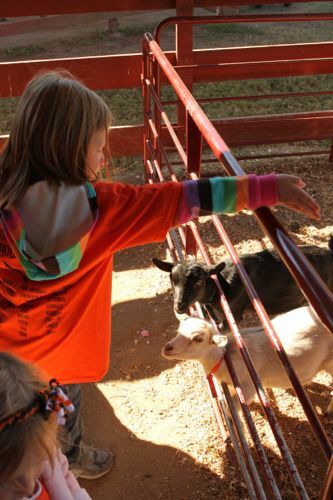 Here she is in the petting zoo, feeding the goats. I think it turned out to be a great day!